The HBS application is a little different from the application of almost every other school. So how can you present yourself in a compelling way without falling flat on your face? Read this blog post for tips! 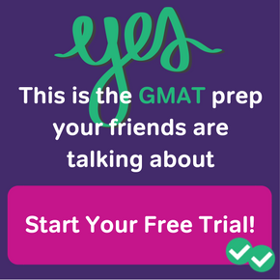 You’ve got your GMAT score and you want to apply to Harvard Business School. (Or GRE score which Harvard also accepts.) Now it’s time to wrestle with the actual application. 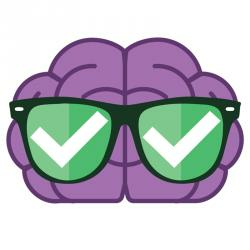 You’ve heard that career goals are important to your application yet you soon discover that the Harvard Business School essay question doesn’t even ask about career goals. For the past few years, Harvard, Wharton most recently, and some other top business schools have used some very open-ended essays that leave it up to the writer to figure out what to present them with. In the past, describing your career goals was super important in applying to the top MBA programs. Has all that changed now? The most important aspect of all of your MBA admissions essays is to answer the question. If you do a good job of staying focused and direct with your writing, and if you literally answer what the school is asking for in each question, then you’re at least halfway there when it comes to putting together a strong essay. The absence of a formal career goals question for Harvard does not mean that goals are unimportant. But it’s also possible to write a great Harvard application essay without mentioning your goals at all. HBS does ask about goals elsewhere in their application and they often come up in the interview, so they are still relevant to an app at this school. For some people, discussing the goals in the Harvard essay can work well. You can offer up a plan for your future and what you want to do. You can present your short-term and long-term goals that you built up for other schools. And, you’ll want to be specific. You have an opportunity here to help them know you a bit better, and to allow them to see who you are and what you aspire to. The more details you can offer, the more convincing you will be. The major difference between all other school apps and the Harvard app– Stanford too, actually – is what we call practical ambition. These two schools in particular are in a different category than most others. They recognize the power they wield. Anyone graduating with a Harvard (or Stanford) MBA will have certain advantages accruing to them that the rest of us mere mortals do not have. Doors will open for them. They are part of a special network. They have access to resources. They have clout. This does not mean that graduating from any other school is the equivalent of dog food. And it doesn’t mean that every HBS MBA takes advantage of these perks. What it does mean is that Harvard expects an awful lot from its graduates. Which translates to the fact that they expect an awful lot from their applicants. So you can’t just make stuff up and expect it to fly. We see gobs of people claiming that they want to be CEO one day, and we honestly have never seen them make it in (unless they are talking about being CEO of a company that they started – which has its own challenges!). Keep in mind that there aren’t that many CEOs of Fortune 500 companies – err, only, like, 500 of them, right? But, there are lots and lots of lower-level positions in those companies that also do great things – positions like President of a specific products division, or General Manager of an operation in another country. These types of roles might be plenty ambitious-sounding enough (in some cases, even that role might be a little too ambitious). 1. It’s not necessary to talk about career goals in your Harvard Business School essay. You can talk about them, but you don’t have to. 2. When you do talk about your goals – since they tend to come up at some point in the application process – then present a plan that you are excited about, that you fully understand, and that you could make a compelling case for being achievable. For the Harvard or Stanford MBA essays, you want to present that full picture to the adcoms. Laying out the vision you have for your future goals, all the way out to that distant horizon, could work well for these schools, if your goals are appropriately ambitious – yet appropriately realistic. Most important is to show that you’ve put in enough thought to talk about how you will actually get there. A full discussion of how to approach the Harvard HBS MBA essay questions and those from other top schools – including career goals essays for Columbia and other MBA programs that prioritize career goals – is available at essaysnark.com (we even review essays for free!). 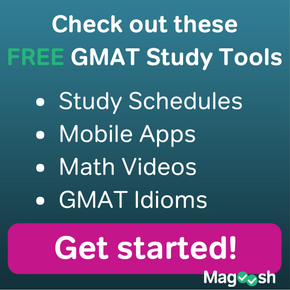 Should I talk about the GMAT in my application? 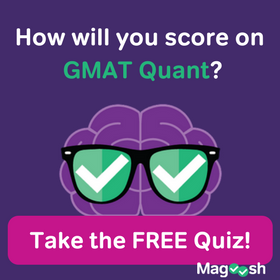 Can I get into [insert top MBA program here] with this GMAT score? Six Steps to a Stellar Resume! This post was written by a friend of Magoosh.